Without quality hydraulic valves, your hydraulic system simply won’t be able to perform its best. After all, hydraulic valves play a vital role in controlling the fluid flow between various pressurized and non-pressurized components. If you want to experience some of the best, most reliable valves on the market, try Parker hydraulic valves in Chino Hills CA. Parker has distinguished itself as a leading brand in hydraulic component design and manufacturing. All Parker parts are expertly designed and subjected to rigorous quality control measures. When you buy Parker hydraulic valves in Chino Hills CA, you know you are getting a high-quality, reliable product. And when you buy Parker valves from Bernell Hydraulics, you know you are getting authentic Parker parts. 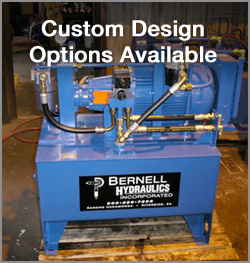 That’s because Bernell Hydraulics is an authorized Parker distributor. Our team is familiar with Parker’s valve offerings and can explain them to you. For example, we can demonstrate Parker’s innovative Colorflow valves, which employ color-coded rings to make it easy to manually achieve various valve opening settings.